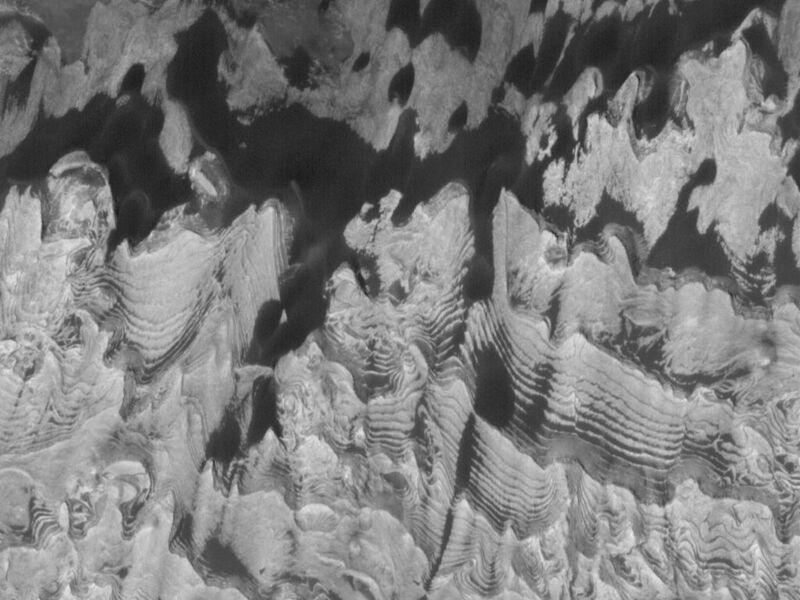 This Mars Global Surveyor (MGS) Mars Orbiter Camera (MOC) image shows layered, light-toned outcrops of sedimentary rock in Becquerel Crater. 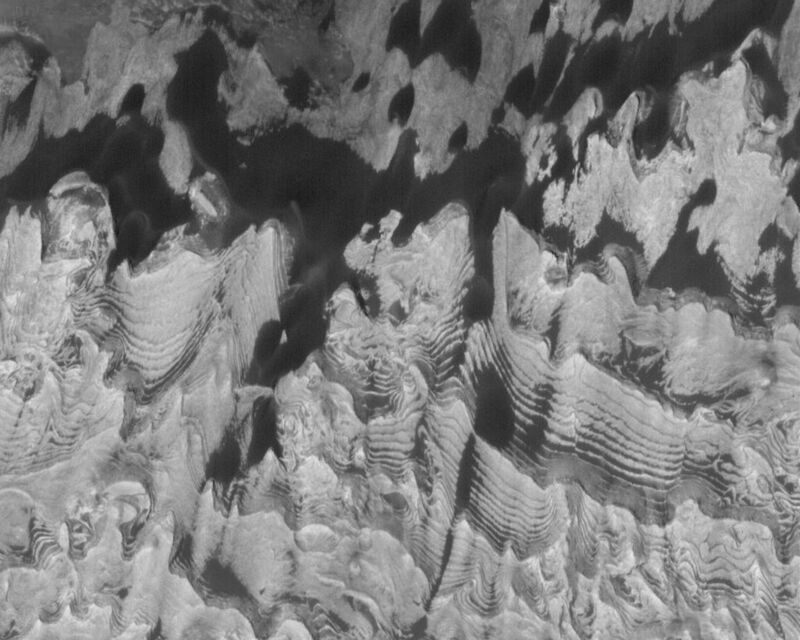 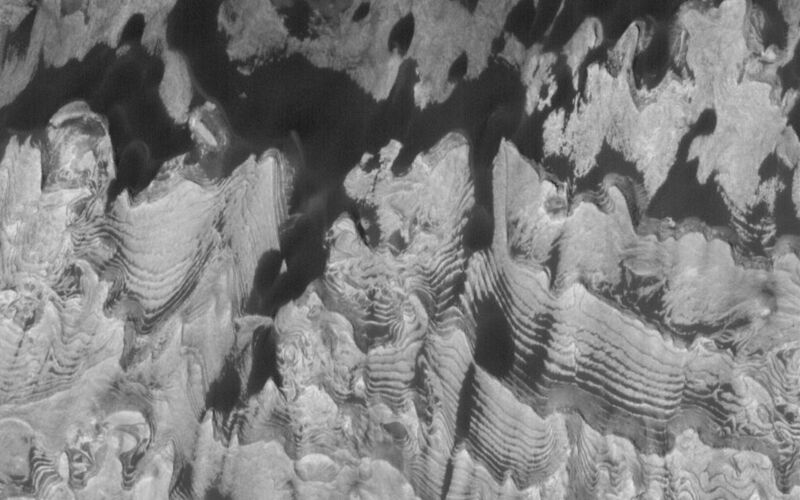 The outcrops are juxtaposed against a dark-toned substrate which occupies the upper (northern) portion of the image. 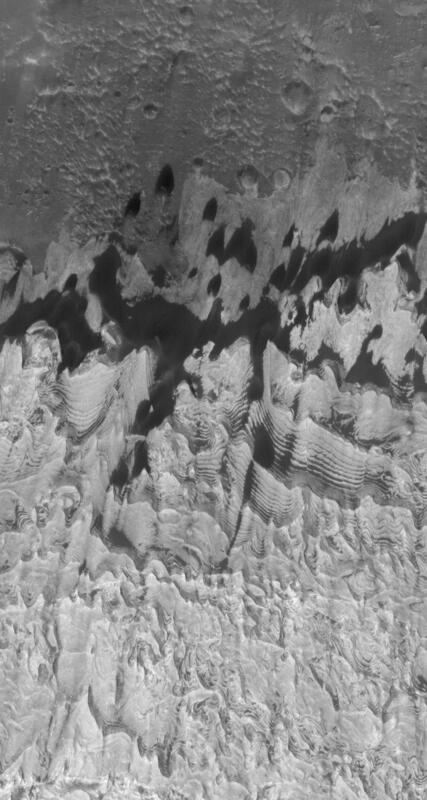 Dark dunes and patches of windblown sand superpose both the light-toned rock and darker substrate; dark sand trapped among the layers of sedimentary rock enhances their appearance.